The office as a showroom. Strähle presents a comprehensive overview of its room systems and acoustic solutions in the offices and showrooms in Waiblingen. The showroom is a workplace, information area and a living example of the modernisation of existing office rooms. It is here where architects, planners, acousticians and office workers can hear the great room acoustics and experience the sheer diversity of our solutions. We look forward to your visit! Acoustic Workshop – Experiencing good room acoustic. Experience the effect that sound-absorbing and sound-insulating measures have on the room and building acoustics in exemplary room situations. The different sound insulation values of the walls and reverberation times in the rooms can be observed in person. The Strähle Acoustic Workshop is both a showroom and a training centre. 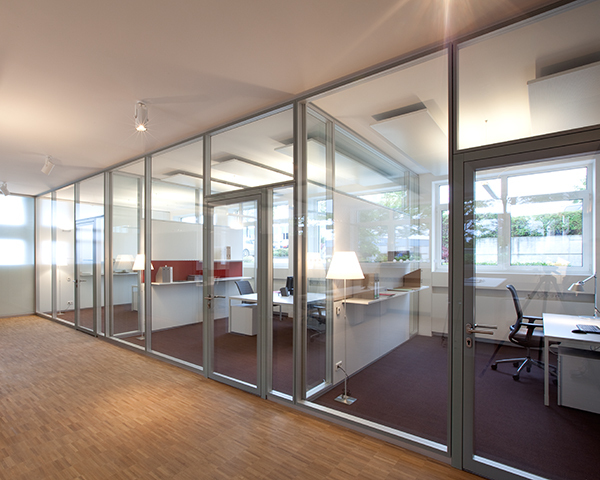 Partition wall and acoustic solutions for the architecturally demanding systems of today's and tomorrow's office worlds are presented on an area covering more than 350 m². 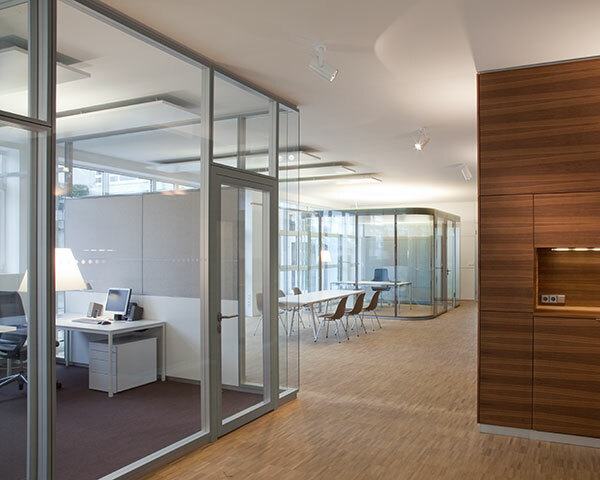 Open spaces, conference areas, single or group offices, room-in-room solutions: our office rooms display partition wall systems and acoustic solutions in their numerous design options. The showroom offers inspiration for modern office concepts. The Skyoffice on the top floor shows what high-class office space and variable conference areas for meetings and events can look like. 1.400 square metre inspiration place. You see on Youtube Channel.